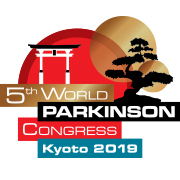 The World Parkinson Congress 2019 will be held at the International Conference Center, Kyoto, Japan from 4–7 June, 2019. 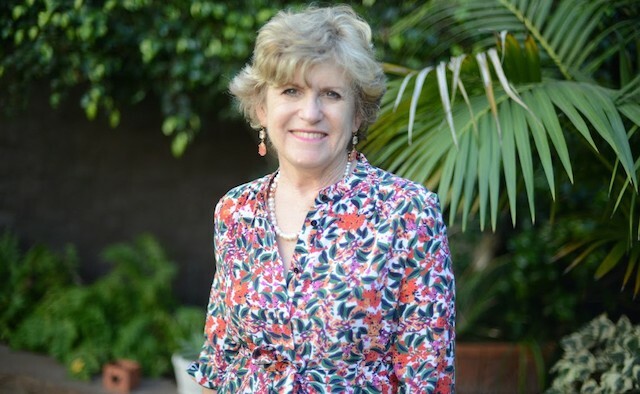 The triennial World Parkinson Congress unites the global Parkinson’s community of clinicians, specialist therapist, carers and people living with the condition, for a scientific and educational four-day programme. Visit the WPC2019 website and the hashtag #WPC2019 for more information. Do you have a particular audience in mind when you’re writing? Primarily people with Parkinson’s, and their caregivers. Exercise. Exercise. Exercise. I work out four to five times a week or sometimes more. Every day is something different – tennis, boxing, yoga or cycling. I am convinced that this has helped me in my battle with Parkinson’s. I feel very strongly that people with Parkinson’s should find the right types of exercise for their individual situations, and make sure that they follow through and exercise on a regular basis. Don’t do the same thing every day. Mix it up to make it more interesting. Do something challenging. What works is different for everyone. I have about 800 followers and I reach between 1,500–3,000 readers per month. I also post on several Facebook groups that have wide international readership. Most readers are from the US and other English-speaking countries, including Canada, the UK and Australia. However, I also have readers from many other areas. Have you been surprised by the global audience/level of interest you’ve attracted? Absolutely. I started my blog because so many people were approaching me and asking me to speak to a relative or friend who had Parkinson’s. I believe that my positive attitude about living with the condition was why they were calling me. The blog was a way to share my experience more easily and, ultimately, more broadly. I never expected it to go beyond those people that I had a direct connection to. After about a year, websites such as Parkinson’s Life started contacting me for permission to repost my blog. Which has been the most controversial? Believe it or not, it was one that Parkinson’s Life picked up and published. ‘Giving Thanks’ from Thanksgiving 2015, was a tongue in cheek look at life with Parkinson’s. I got several emails from people whose lives have been ruined by Parkinson’s, questioning how could I be thankful and write anything positive about it. It differs every week. I try to publish once a week, usually on Tuesdays. Sometimes I will read something that gets me thinking, and I will write about that. Other times the inspiration might come from an event I’ve been to. And other times, there is no inspiration: I can sit down at my computer and write something quickly, in less than an hour, and that’s great. Other times, I come back to it over and over again to rework it, and it still doesn’t seem right. Some of those are still sitting on my computer. Sometimes I will ask my husband or a Parkie friend to read a post and make revisions before I publish it. Usually a blog post takes several days from the idea – which sometimes comes to me in the middle of the night – to writing a first draft of my thoughts, and then numerous revisions to make it coherent. Then a final read through before finally posting it. I always write on my computer. My handwriting has been affected by Parkinson’s – though I don’t think I would write by hand as part of the process anyway. First of all, I want people to realise that they are not alone on this Parkinson’s journey. I hope that there is something new that they will learn or take away from each post: something that will help them live better with Parkinson’s. Or that moves them to do something positive in their lives. 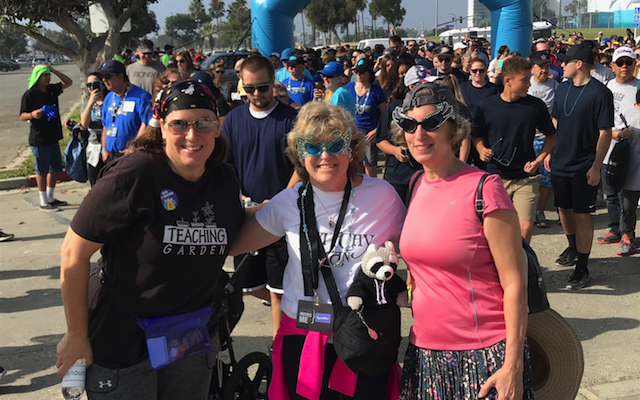 I attended the Women & PD Initiative with the Parkinson’s Foundation (formerly the Parkinson’s Disease Foundation) in 2016. They asked us to join them in Portland, US last year for the WPC, which was an amazing experience. So, I jumped at the opportunity to become an official blogging partner this time round. Can you share any memorable moments from the last one you attended? Two of my friends from Los Angeles, US approached photographer Anders Leines to take a group photo in front of his mural of people with Parkinson’s. They gathered a large group of us for the photo, which went a bit viral. Meeting some of my readers and some of the other bloggers that I follow was also a treat. People actually knew me (or Twitchy Woman) from reading my blog and were looking for me. Tom Isaacs’ speech was amazing. I still tell people about it. And most of all, I loved the fact that people with Parkinson’s could attend any sessions they were interested in, from the most scientific research presentations, to exercise or nutrition. No session was closed to anyone, unless they ran out of space. Meeting more of the people who are making a difference for those of us with Parkinson’s, including researchers, doctors, and other people with Parkinson’s. I want to hear about the latest research and what lies ahead for us. I want my husband to go with me this time because there is so much to see and do and learn. It can be overwhelming but at the same time, very inspirational. I want him to have as great an experience as I did in Portland. And finally, seeing old and new friends from around the world that I have met through the amazing Parkinson’s community, who will be there to support each other, to laugh together, and learn together. We will not be alone. 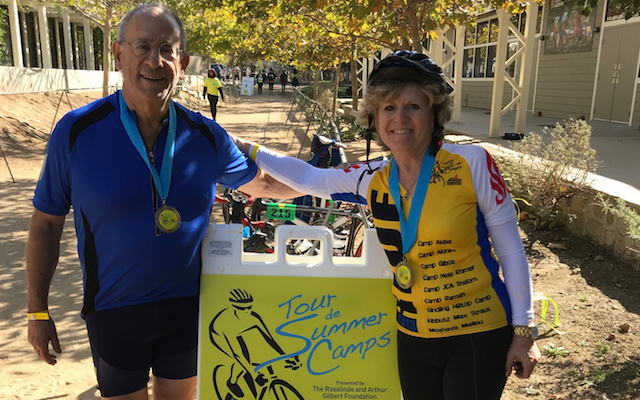 Describe yourself in a sentence: I was diagnosed with Parkinson’s nine years ago and am determined to do as much as I can – for as long as I can – to enjoy life while living with Parkinson’s.